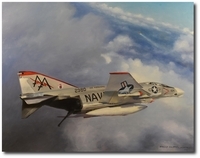 In May 1972, LT Bartholomay and LT Oran Brown flying from the USS Midway (VF-161), were on a combat air patrol when they encountered two MIG-19 North Vietnamese fighters. After intense maneuvering and superb airmanship, LT Bartholomay and LT Brown got into a good firing position and shot down the MIG with an AIM-9 sidewinder. 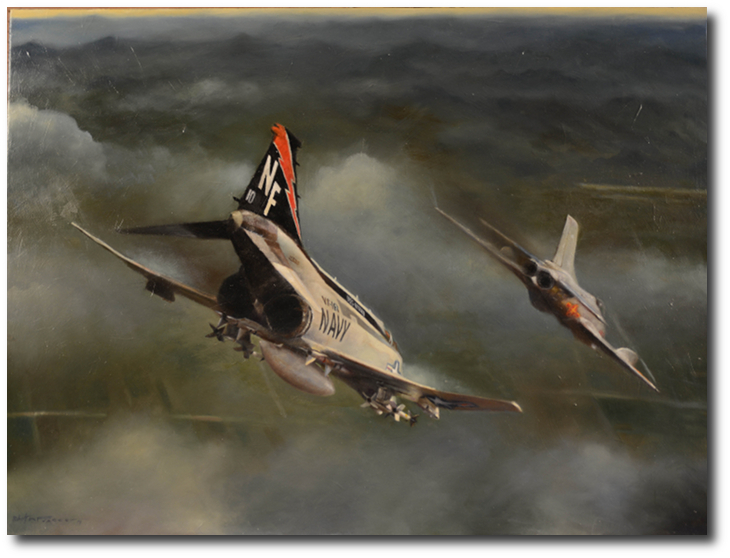 This painting depicts the moment that the Phantom aircrew, call sign Rock River 110, won the advantage. 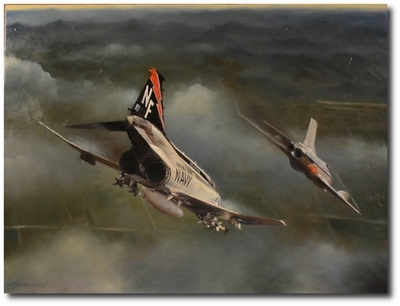 "Rock River Advantage" was exhibited at the San Diego Air and Space Museum as part of the ASAA International Exhibit. It received first prize for military themed art in 2014.